First, he wrote on Twitter that Comcast was like United Airlines in terms of customer service. Then, he vented about the excessive amount of time he had to wait for Comcast to show up after he said the company reportedly missed an appointment to fix a problem it caused. Huckabee then wrote that a certain crime organization had better service than Comcast. Mafia better service than @comcast Sure they shoot you, but it's over with and they don't charge you for the bullet. Huckabee got so desperate that he wrote that he would rather have former President Barack Obama as president again than have Comcast. How bad is @comcast service? I'd rather have Obama back as President than have Comcast. Comcast customer service responded to his fourth tweet about Obama and asked the former governor to send a direct message to the Comcast Twitter account with his Comcast account number. 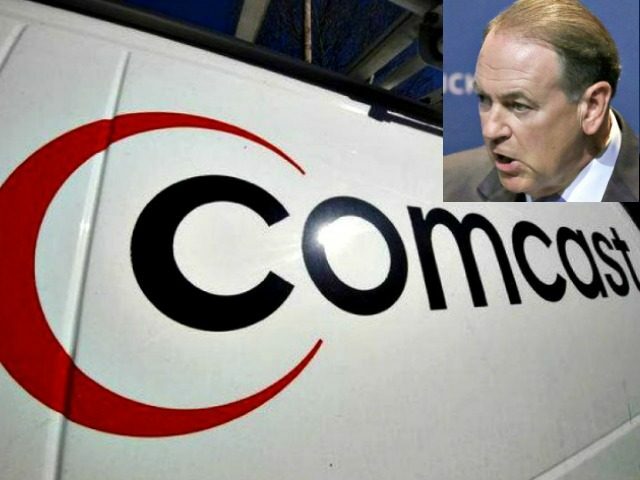 Huckabee has not posted any updates on Twitter on whether Comcast actually fixed his service or not.